Ward 6 City Councilor Peter Capano calls the Lynnway a “huge economic base for the city,” but John Antonellis doesn’t need any convincing on that score. The president of Elevator Interior Design said his 35-employee business moved from Chelsea to Lynn five years ago because the Lynnway offered easy access to Boston, and city and state development agencies helped make the move possible for the company. “EDIC (Lynn Economic Development and Industrial Corporation) and Mass Development were key in helping us relocate,” said Antonellis. Located in a Marine Boulevard manufacturing building, Elevator Interior custom builds elevator “boxes” that are designed to be broken down and shipped to a building site where they are reassembled and hooked up to the necessary mechanical equipment. 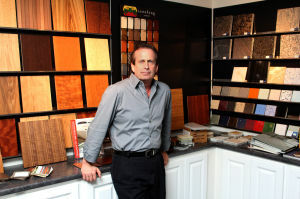 With a national market and even Canadian clients, Elevator Interior remains firmly rooted on the Lynnway, Antonellis said, with direct connection road access to Boston and plans to expand. “This part of Lynn is fantastic: We’re in and out of Boston three times a day with trucks,” he said. Lynnway success stories like Elevator Interior’s are what Capano is hoping to hear at a City Hall public hearing he plans to schedule in March. A similar meeting hosted by councilors last year attracted 30 business owners and representatives who talked about what works on the city’s biggest commercial corridor and what needs to be improved. Capano is setting the stage for the March meeting by asking city planners, including EDIC Director James Cowdell, to meet with councilors on Tuesday to discuss the Lynnway and the city’s waterfront. Running from North Shore Community College to the General Edwards Bridge, the Lynnway is home to former Chelsea firm Kettle Cuisine and a potential high-rise project on land owned by General Electric. But Capano said the Lynnway also has vacant lots and longtime business owners with concerns and needs that must be balanced against emerging development ideas. “They ask the same questions everyone else asks, ‘What’s going on?’” he said. Antonellis said business owners are keeping an eye on Revere to see how development is accelerating along that city’s waterfront. Elevator Interior occupies 35,000 square feet off the Lynnway, but Antonellis has a sweeping vision for how the area can be redeveloped — especially if mass transit improvements and the assistance his firm received from the city continue to expand. “We could be reclaiming everything down to Building 19. It’s a perfect opportunity,” he said.